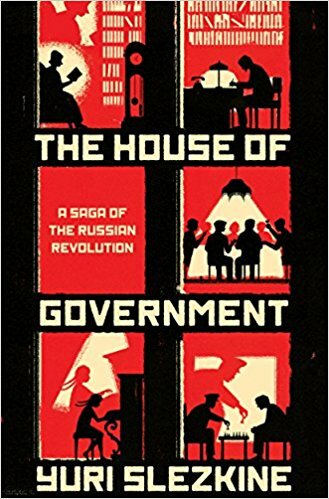 The story of the Russian revolution and its aftermath told through the activities and individual stories of the inhabitants of the House of Government, Europe’s largest residential building. Slezkine's book revels in an overload of details. He has traced the 2,655 registered tenants through every stage of their occupancy; he follows them as they change apartments; he has read – at crushingly impressive length – from their personal letters and diaries; perhaps most amazingly, in the case of all those in-house fiction-writers (and all of their colleagues living elsewhere), he has read all of their writings, and he relates them all with generous sympathy and insight in these pages. Among the many other things it is, The House of Government is also one of the greatest extended appreciations of prewar Russian literature ever to appear in English ... regardless of its size and complexity – and despite some of its grim tidings, this book is an absolute delight to read, a masterpiece of the odd, almost unclassifiable kind that Russian literature is so adept at producing ... thanks to Yuri Slezkine, the House of Government is now immortal in literature as well. [The] chapters on the Stalinist Terror are the most vivid. Over all, Slezkine’s writing is sharp, fresh, sometimes playful, often undisciplined. The momentum suffers from the narrative’s overpopulation; and Slezkine falls into digressions about the Exodus, Armageddon and repressed memory theory. Despite meandering, he makes certain arguments clearly: Bolshevism was a millenarian sect with an insatiable desire for utopia struggling to reconcile predestination with free will — that is, working ceaselessly to bring about what was supposedly inevitable. Constructed on what feels like a lifetime of research and reflection, The House of Government offers a virtuosic weaving of novelistic storytelling, social anthropology, intellectual history, and literary criticism. It moves effortlessly (though the copious sources cited in the endnotes suggest otherwise) across different historical scales, joining a millennia-spanning, pattern-seeking master narrative to acute readings of diaries, letters, novels, and other such documents, often quoted at luxurious length … The House of Government signals its ultimate aim: to grasp the meaning of the Russian Revolution sub specie aeternitatis, to suggest an abiding element in human history, something very old of which we have not freed and may never free ourselves, precisely because we are human. What did you think of The House of Government?